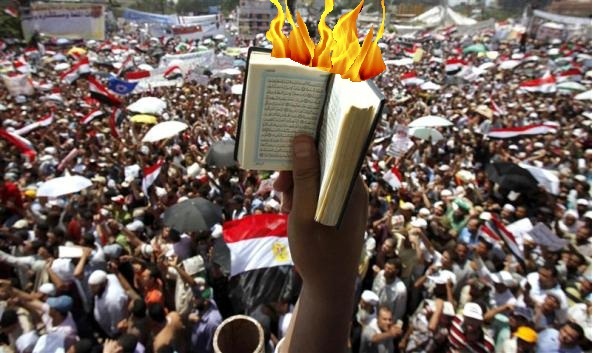 EGYPTIAN MP URGES ARAB STATES TO BREAK TIES WITH US OVER KORAN-B-Q…….. – The Tundra Tabloids……. 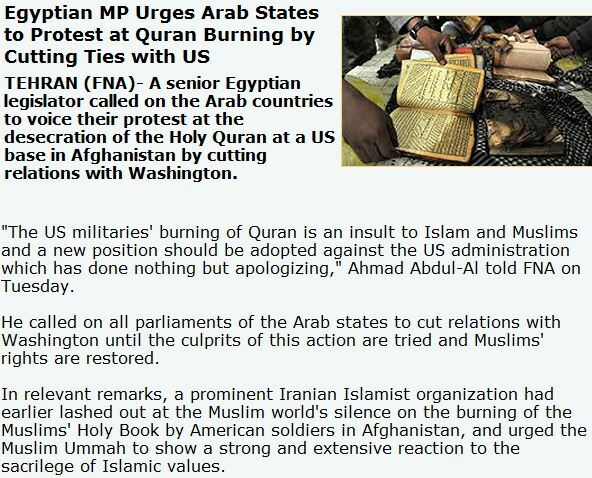 EGYPTIAN MP URGES ARAB STATES TO BREAK TIES WITH US OVER KORAN-B-Q……..
No word yet on Muslim outrage over people slaughtered over the koran-b-q. Previous Post Previous Post ISRAEL CHIDES THE UN’S LACK OF INTEREST IN CONDEMNING PALESTINIAN ROCKETS SLAMMING INTO ISRAEL……..
Next Post Next Post MUSLIMS IN CHINA RIOT, CHINESE GOVERNMENT RESPONDS, 12 DEAD……..